So I had my first book reading last night, which meant it was the first time I read from Good Chinese Wife in front of an audience. Look at Anderson’s events flyer. I about fainted when I saw my name listed below Rebecca Makkai. I’m reading her book, The Hundred-Year House, and am loving it. When I arrived, Anderson’s already had the space set up with several rows of chairs. I was delighted and honored when they had to add more chairs to accommodate everyone. Here I am with some of the audience! 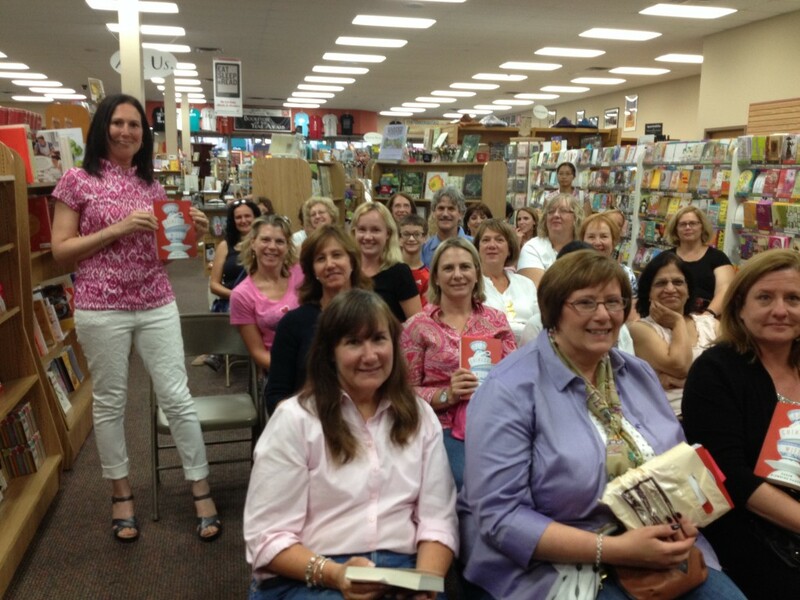 I told a quick story of how Naperville is so central to my book. My publisher, Sourcebooks, is headquartered in Naperville. 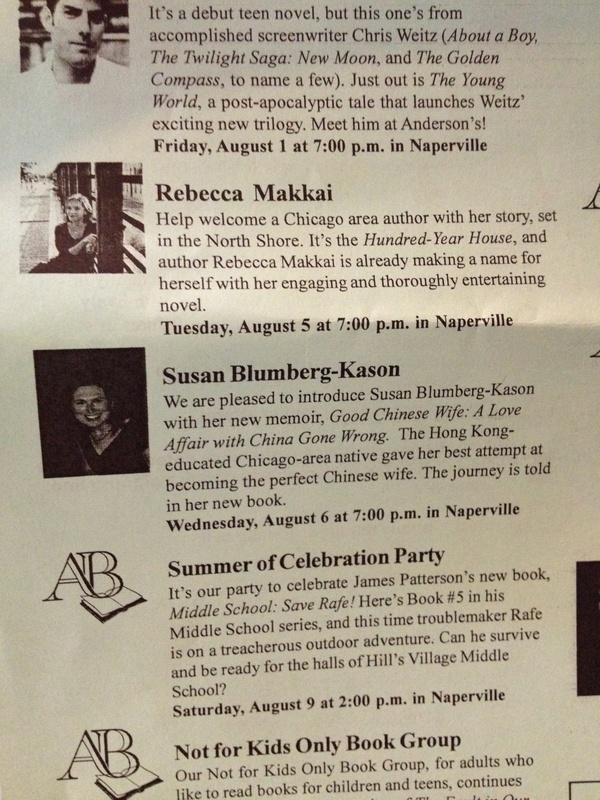 And I was actually in Naperville the day my rock star agent Carrie called me with the show-stopping news that Sourcebooks had made an offer on Good Chinese Wife. 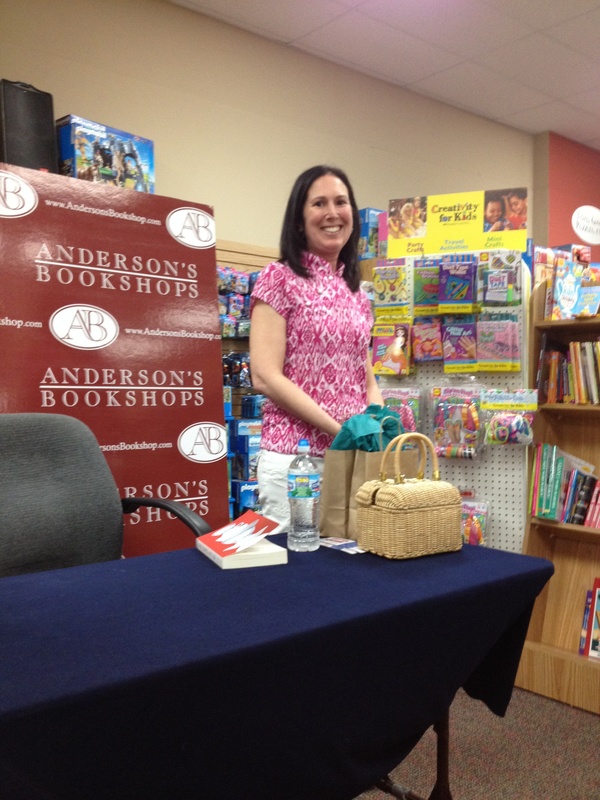 So it only seemed natural to have my first reading in this Chicago suburb. 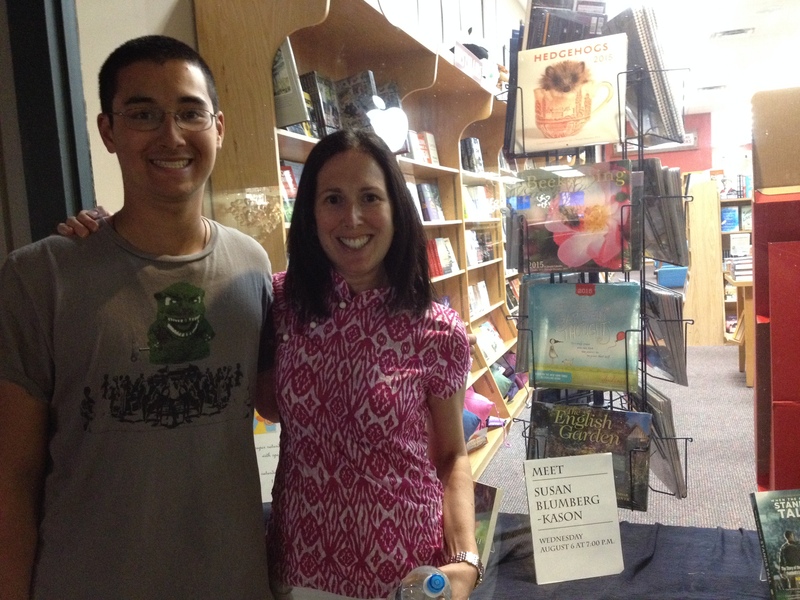 It was especially wonderful to finally meet my uber-amazing editor, Stephanie Bowen! She’s on the right in this photo. 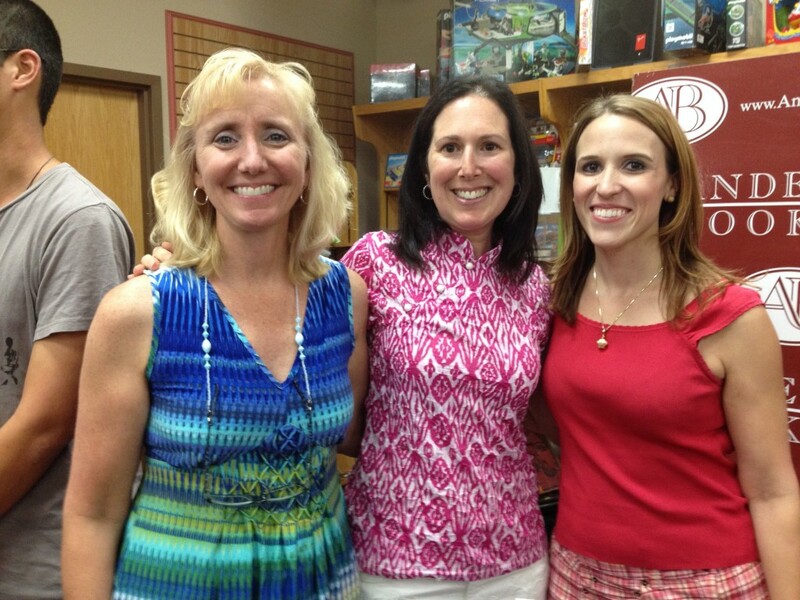 Nancy Cavanaugh, a Sourcebooks sister author, is on the left. I’m going to Nancy’s book launch party this weekend for her middle grade novel, Always Abigail. At the end of the evening, Anderson’s asked me to sign their author wall. I signed my name right under Rebecca Makkai’s! They also gave me this cute little bag and told me I could pick ANY BOOK in the store! Keeping with the flavor of the night, I chose another women’s memoir about overcoming a difficult struggle. 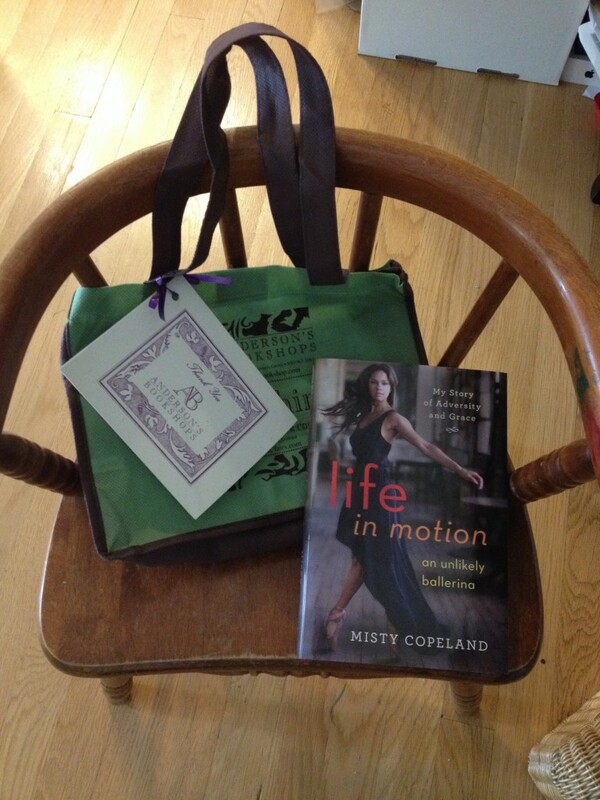 Plus, I’ve been meaning to read Misty Copeland’s Life In Motion. As if the night couldn’t have gone better, when I was outside Anderson’s, author Sonali Dev recognized me and took this photo of Jake and me. I am still kicking myself for not taking a photo with Sonali, but will be at her launch party–at Anderson’s–in early November. 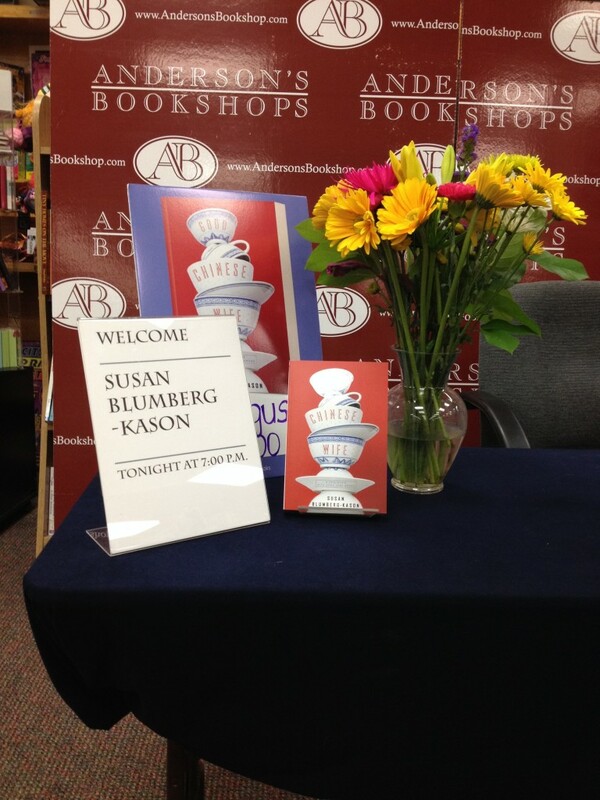 A huge thank you to all the friends and readers who attended last night’s reading! I am reading the book “Good Chinese Wife: A Love Affair with China Gone Wrong” and have not finished it yet. But thus far, it is amazing as to the level of details that Susan provided of her life in H.K., China and her eventual repatriation to the U.S. It was as though I was living inside her and observing the incidents first hand. I felt as though I was vicariously living inside her situation. She knows how to evoke all the emotions of the reader. At times I laugh and chuckled to myself, while at other times I wept for her.